These are the ABC’s of orthodontics. Here are some of the most important things to know about treatment. You are never too old to get the smile you deserve! York Orthodontics is proud to say we treat many adult patients. Treatment options such as Invisalign and ceramic braces are recommended for adult patients who are worried about cosmetic appeal. Brackets are bonded directly on your teeth. These metal or ceramic brackets hold the archwire and bands in place. Ceramic braces are recommended for teens or adults who do not like the appearance of traditional braces. Also known as clear braces, ceramic brackets blend in with the colour of your teeth. Dr. Nima Mir will definitely make you smile! He is committed giving all of his patients memorable smiles and loves being a part of the positive transformation of people’s lives. Elastics, also known as rubber bands are used to correct a misalignment of the jaw and teeth. When a patient’s upper and lower teeth do not fit comfortably or correctly, elastics are recommended to help properly position the teeth and jaw. Maintaining good oral health throughout your treatment is very important. You may notice that flossing your teeth is harder to do with all the appliances in your mouth. York Orthodontics will provide you with a floss threader to make sure you can still get the job done. Your gums may be sore when you first get your braces. This is to be expected as your mouth is adjusting to the new appliances. If you have sore and swollen gums later on during treatment, you should spend more time brushing and flossing to prevent further plaque buildup. The benefits of orthodontic treatment not only include a beautiful smile. Straight teeth are easier to clean meaning you will have healthier teeth that are more likely to last a lifetime. Invisalign is the modern-day approach to straightening teeth. You simply pop in a new set of your custom made aligners every two weeks! Using smooth, plastic and virtually invisible aligners, Invisalign provides the same results that traditional braces do. And the best part of all? People will have no idea you are straightening your teeth! The way your upper and lower jaw meet can sometimes be misaligned which can affect one’s overall appearance as well as put stress on the chewing surfaces. Orthodontic treatment can correct a patient’s jaw alignment. The Canadian Association of Orthodontics recommends that children should have an orthodontic evaluation no later than age 7. At this age, a child’s natural growth process is well under way. This means any problems that are detected are easier to treat. Lingual braces have the same concept as traditional braces. The only difference is that the brackets are bonded and hid behind the teeth as opposed to in front. These are the traditional and most common form of braces. These stainless steel braces are the least expensive form of braces but are also the most visible. At York Orthodontics, we offer a variety of different colour options so you can feel more confident about your smile. We offer free consultations for all new patients. During this appointment, Dr. Mir will outline your treatment plan and goals and your treatment coordinator will set up a payment plan that is comfortable for you. All new patients coming in for a consultation can start treatment the same day! Orthodontists are dentists that have extended their education for another 2-3 years to become a specialist. 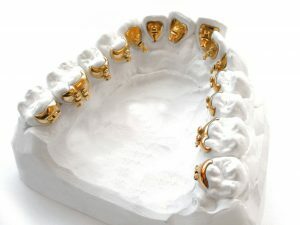 Orthodontists specialize in improving teeth position, the bite, facial structure and aesthetics. At York Orthodontics, we believe that financial stress should not get in the way of getting the smile you deserve. We offer flexible, interest-free payment plans to all of our patients. Our goal is to minimize your financial stress and make your orthodontic treatment more enjoyable. The staff at York Orthodontics is here to answer any and all questions you may have about treatment. Simply give our office a call and our patient care specialists will give you the answers to any questions you have. 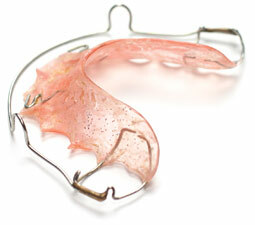 Retainers are worn after your braces are removed to maintain the alignment of your teeth. Take a look at our retainer options page to see what your options are. Orthognathic surgery is a surgical procedure that corrects jaw deformities by adjusting the position or length of the jaw. Once the teeth are set at their ideal position, an oral surgeon will move the bone of one or both jaws into the proper position in relation to the surrounding anatomy. Keeping your teeth clean is very important during treatment! When you get your braces put on, we will provide you with a new electric toothbrush to ensure you have everything you need to get the job done. We know that every patient is unique and requires different care. We pride ourselves in the customized service we offer to all our patients. Orthodontic treatment is not like it used to be! During your consultation, you will be presented with a variety of different treatment options. Usually called the archwire, the wire attaches to your brackets and provides a constant force that ultimately straightens your teeth. Poking wires are common, but are an easy fix. Apply some wax and give us a call. We take panoramic x rays for all of our patients free of charge. This x ray helps Dr. Mir diagnose any orthodontic problems and make a treatment plan. Visit our YouTube channel for informational videos on basic orthodontic questions. The team at York Orthodontics will do everything in their power to keep your treatment time to a minimum. However, the length and success of treatment heavily depends on patient cooperation. If we all work as a team, you will zoom through your treatment!